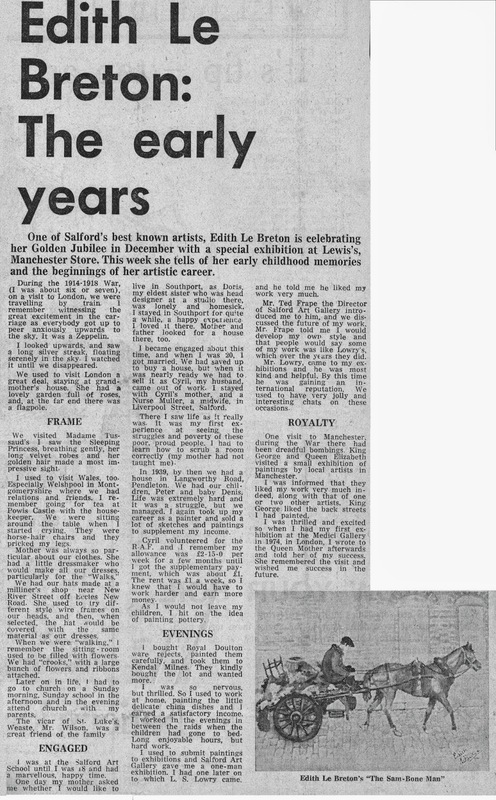 "One of Altrincham's unsung talents is Edith Le Breton, an artist who lived and worked in the town and Dunham Massey for 50 years. 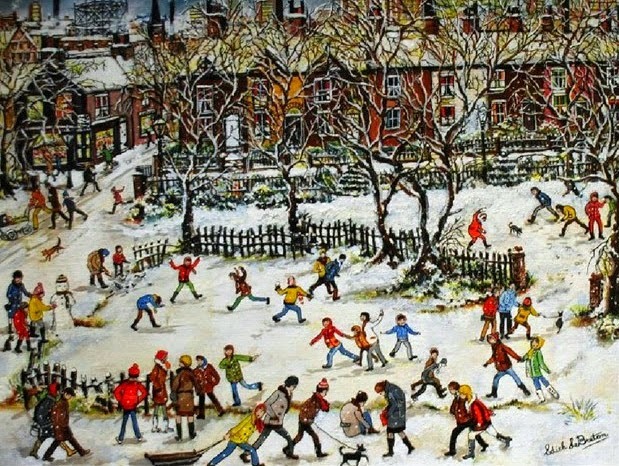 Edith had a national profile and was best known for her paintings of northern scenes, many of them in Altrincham. They are representational paintings, usually oil on canvas, and generally chronicle post-war life in the north. She also worked in other crafts, painting china and textiles. Edith was friendly with Lowry who took an interest in her work. All of this was a remarkable achievement for a woman who also produced two children and ran a business during the difficult war and post-war years. 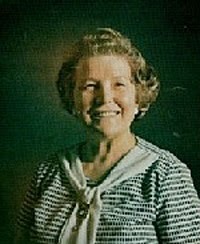 Edith Winifred Alice Sapple was born in 1912 at New Barns Farm, Weaste, Salford , just off Eccles New Road near the site of the old racecourse. She was the second of three talented sisters. the farm was large and ancient with a cobbled courtyard, gardens , a pond, and surrounded by fields. Her father Hugh was a policeman from Welshpool, Powys who served as a officer with the Manchester Dock Police. He was an excellent gardener and athlete and won many medals. Edith inherited her love of painting from her mother Edith Primrose (Tipping), who was a lady's maid to Lady Yarborough and then Lady Powys. Edith Sapple took her great grandmother's French name of le Breton to use as an artist. Edith started painting at six and when she was nine she attended Seedley Council ( now Primary) School where her name and those of her sisters were on the school Roll of Honour board, now lost. 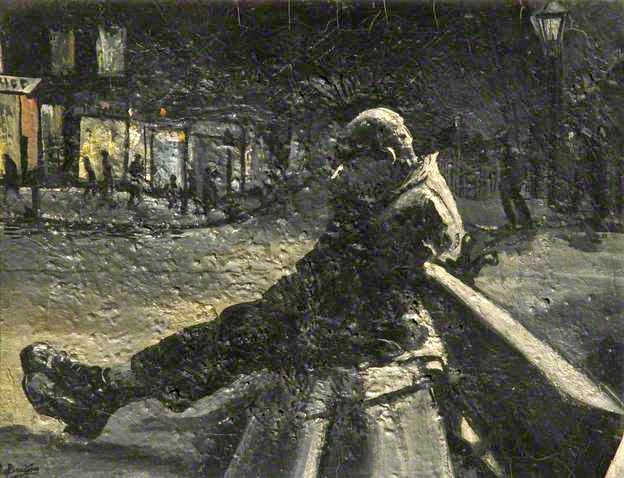 Salford Artist Harold Riley also attended the school. In the lunch time all three sisters took private watercolour painting lessons. At the age of 11 Edith won a prize of money and a silver travelling case at Lewis's Art Exhibition in Manchester, for a portrait of Princess Elizabeth. At 13 she was awarded a scholarship to Salford School of Art and at 15 sold her first watercolour and obtained a first-class student shop to study for a further three years. Her older sister Doris and younger sister Mavis also won scholarships there. The family showed Edith's early artwork to artist Dame Laura Knight who advised Edith to " paint the people around you." In 1933, at the age of 20, Edith married Cyril Jackson. In 1936 she was introduced Laurence Lowry by the director of Salford Art Gallery, Albert Frape, who gave her much support and encouragement. 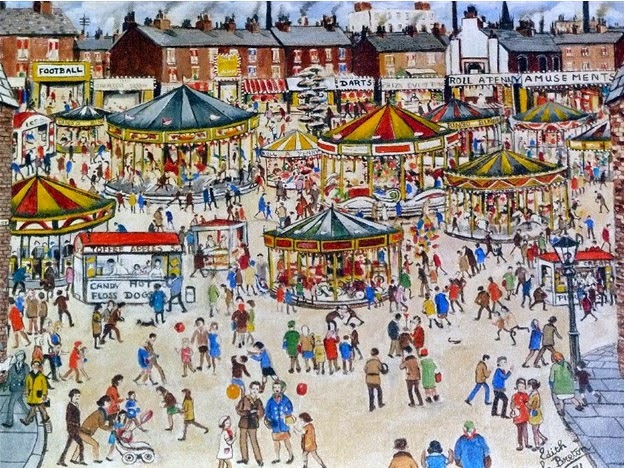 In 1937 Edith held and exhibition at Salford Art Gallery as an Artist of the Northern School. Edith was always fascinated by the rows of Salford streets of cottages with donkey-stoned doorsteps and full of highly-polished furniture. the houses were always spotless, and the windows and curtains clean. She was interested in their sideboards full of ornaments with glass drops. The women folk were scrubbed clean with aprons tucked in and their sleeves rolled up. They were always busy, stirring a large pot on the range, laying the table or cleaning. In 1939 Edith and Cyril were living in Langworthy Road, Salford and at the outbreak of the war Cyril joined the RAF as a Military Policeman. He was injured and was in hospital for a lengthy period so Edith had to provide for the family, which by then included their two young sons Peter and Dennis. She bought blank Royal Doulton china which she painted and sold to Kendal Milne's store on Deansgate, Manchester. The family was bombed out in Salford and Edith bought a provision shop and opp-licence on the corner of Pownall Street (now Road) and Rostherne Streeet in Newtown, Altrincham. After the war Cyril was able to help her with the long day in the shop, 8am to 10.30pm, and again she found time to paint, often in to the early hours. 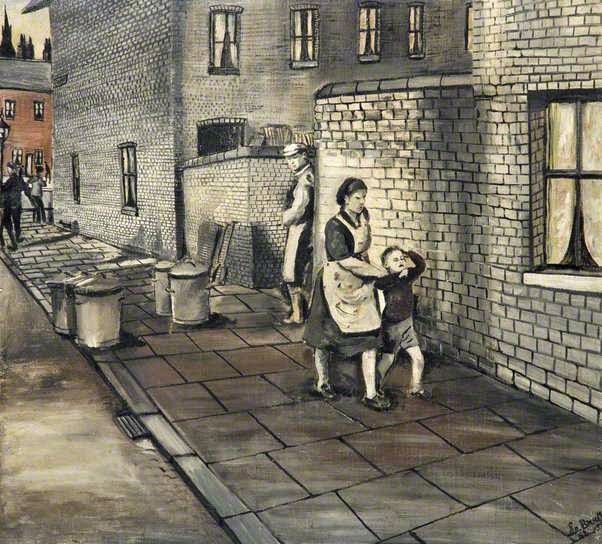 In 1949 Frape asked Lowry to choose one of her paintings for Salford Art Gallery: he chose " A Salford Street". Edith clearly recognised interesting scenes which were worth preserving for posterity, working from memory , sketches and photos. 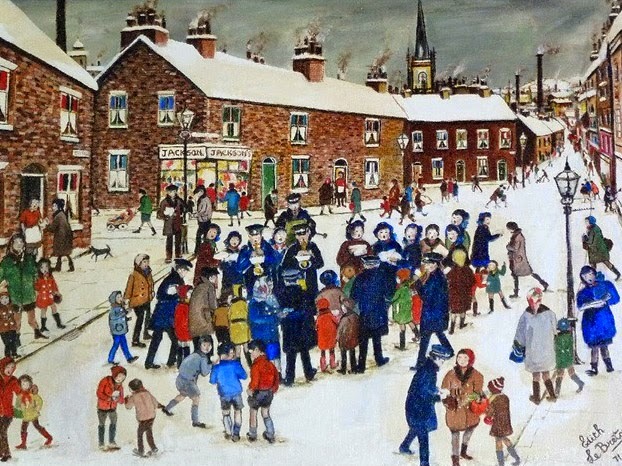 Edith's figures are more detailed than Lowry's and her post-war pictures are often vivid colours. 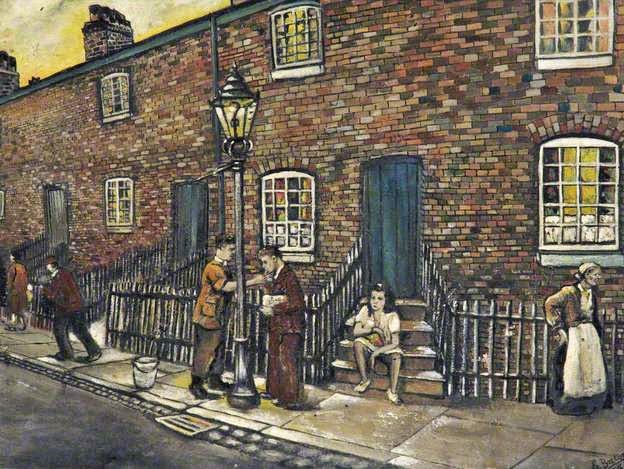 Edith and Lowry had both belonged to the Salford Arts Club and he wrote to her with encouragement to continue to paint despite setbacks and difficulties. They continued to correspond until his death in 1976. 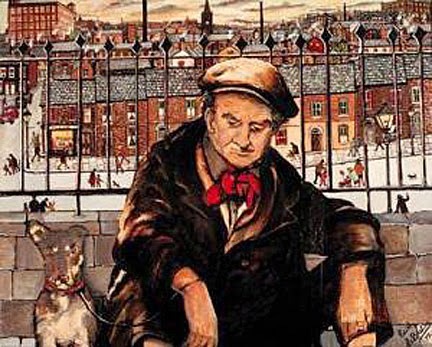 Edith was a member of Manchester Academy of Fine Arts from 1952 to 1966, and her work was shown in their annual exhibitions. 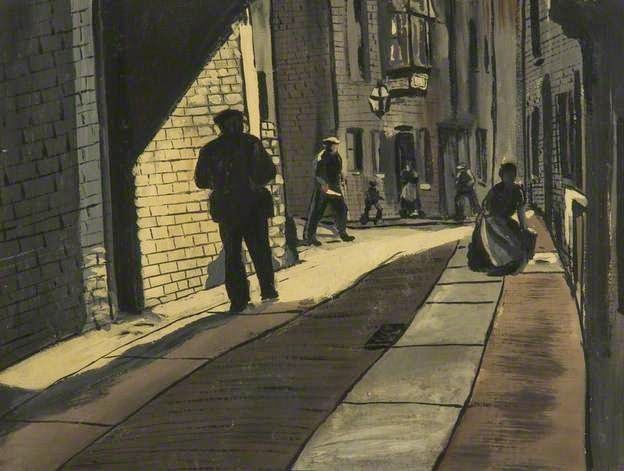 She was also a member of the Lancashire Group of Artists. She was awarded a fellowship in 1959 by the International Society of Arts and Letters and arranged an International Children's Art Exhibition in Manchester for the United Nations. 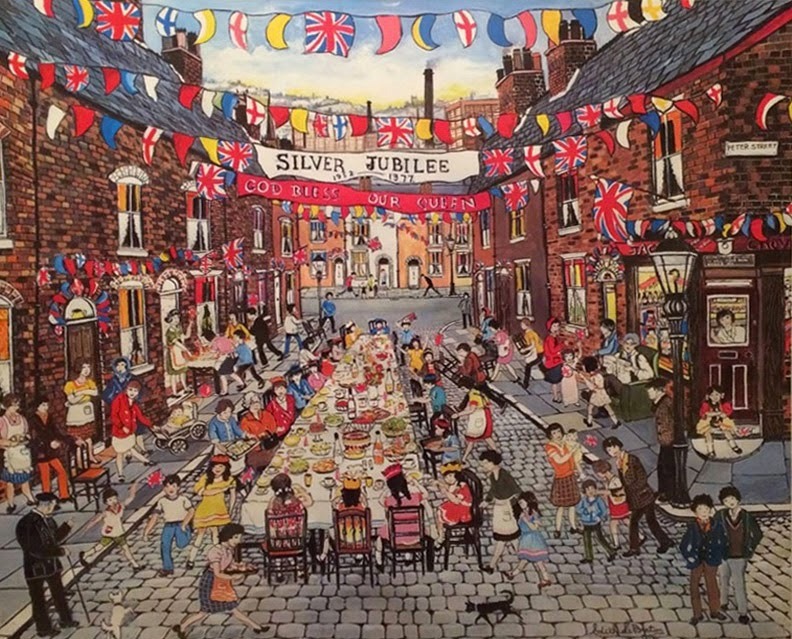 On several occasions she organised international exhibitions of children's art for the Rotary Club of Altrincham, and she is said to be the first British artist to show and discuss her work on colour television. Edith had exhibitions at the Medici Galleries, London, and group shows at the Manchester Academy of Arts, Lancashire Group Artists, and Altrincham Society of Artists. She exhibited nationally and sold at Sotherby's and Christies. She is represented in Salford City Art Gallery and in private collections in Europe, the United States, Central and South America, Australia and New Zealand. She judged children's exhibitions, contributed poems to literary journals and was associated with the Manchester Academy of Fine Arts. 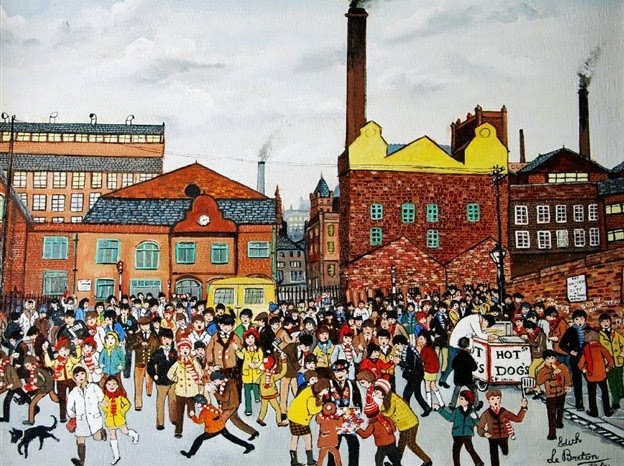 She painted a Manchester United match for Matt Busby and the 1972 Preston Guild. In 1954 Edith and Cyril moved to High Street, Altrincham and 1959 retired to Magnolia Thatched Cottage at the back of the Axe & Cleaver public house in Dunham Massey and then to 1, Big Tree Cottages, Woodhouse Lane, Dunham Massey. During the 1970s Edith produced numerous paintings including some for Roger Grey, the last Lord Stamford. In1938 Edith was a guest at the Women of the Year Luncheon at the Savoy Hotel, in the company of many distinguished women. Edith and Cyril moved to Newtown, Altrincham into sheltered housing about 1990, to Williams Walk just two doors from where her Russell Street Shop had stood. Edith's sister Mavis Hermione Sapple wrote a book in 1982 covering their early life entitled " A Salford Childhood", which is in Salford Public Library.